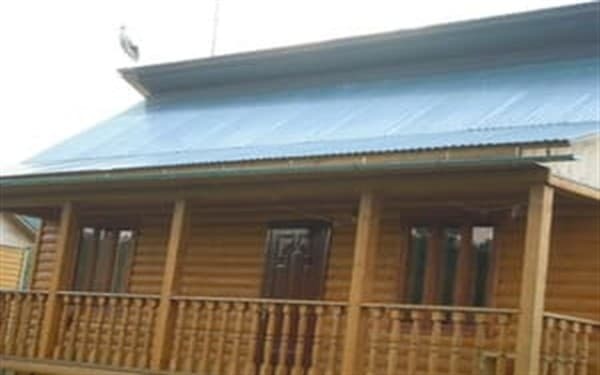 The cottage "Pan Hutsul" is located in the village. The surface, 5 km from the smt. Putila, 300 m from the road, next to the ski lift, consists of 2 floors and 5 rooms. On the 1st floor kitchen with appliances and dishes, triple room, bathroom. On the 2nd floor there are 4 double rooms and a bathroom (toilet and shower). Free Wi-Fi is available. Near the house is a large yard, BBQ. Also there is a billiard room and a Russian bath. You can organize tours, walks in the mountains, horseback riding, skiing, fishing, ordering live music. To the nearest store from the cottage "Pan Hutsul" - 400 m, from Chernivtsi about 120 km. Description of the room: The cottage consists of 2 floors and 5 rooms. On the 1st floor kitchen, a triple room and a bathroom. On the 2nd floor - 4 double rooms and a bathroom. Children under 10 stay free. There is a kitchen for self-catering. The cottage is situated 5 km from the CMT. Putila. By train or bus to Chernivtsi, then - from the bus station by bus Chernovtsy- Putila up with. Kyselica.